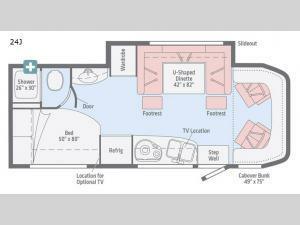 If you need an RV that is full of space and style, then you need this Winnebago View Class C Diesel motorhome. 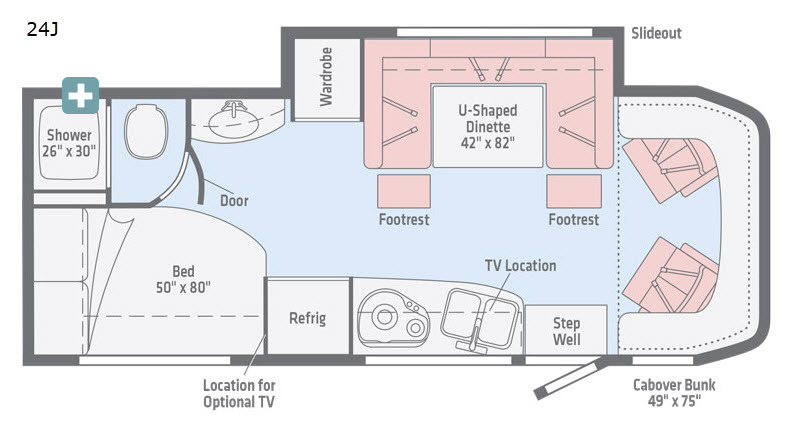 Because this coach can sleep six people, it is the perfect option for those families who are looking to getaway at a moment's notice, and with multi-purpose amenities like the U-shaped booth dinette, you will always have enough room to do the things you love to do. Traveling can be exhausting, but the 2-burner range top and Norcold double-door refrigerator in the kitchen allow you to prepare a pick-me-up snack anytime you need it.